"The Douro is the first demarcated wine region in the world and its landscapes offer such beauty and magic that it could easily be called the enchanted valley. With beauty that amazes throughout the year, the Douro Valley is considered one of the best wine destinations in the world." 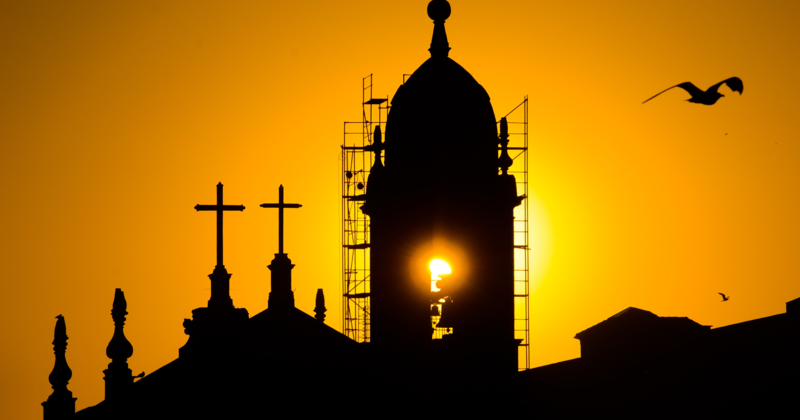 The package will include hotels, chauffeur, airport transfers, guided tours or activities, unique wine and gastronomy experiences and support during your trip. 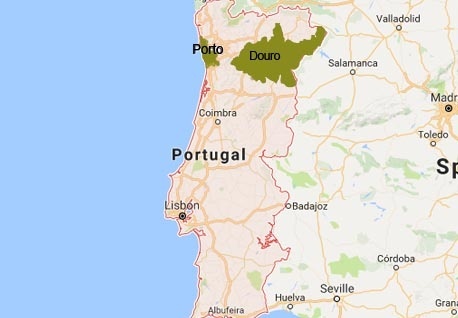 Recognized by UNESCO as a World Heritage Site since 2001, the Douro is the oldest demarcated wine regions in the world, stretching along the axis of the Douro River with an area that occupies more than 40,000 hectares. 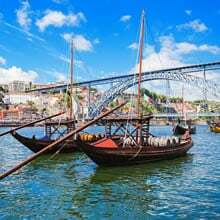 On this tour, you will enjoy a private cruise in a Private Yacht and you will have the opportunity to visit the most renowned Port and Douro wineries "Quintas" and savor the most delicious meals of this stunning Douro. In this luxury tour, you will also have the opportunity to visit some of the most famous and renowned wine producing estates, located in the oldest wine demarcated region in the world - The Douro Valley. CUSTOMIZABLE TRIP OPTIONS: All of our itineraries may be customized as you wish, add extra days, change a hotel, see different sights. Contact one of our expert consultants for your free, no-obligation vacation plan. Meet your driver for a private airport transfer. For your added comfort, we will have an English speaking assistant waiting for you outside the customs with a sign with your name on it. Your representative will help you to co-ordinate meeting up with your private driver and accompany you to your accommodation. Meet your guide at the hotel for your walking tour of Lisbon Downtown. For centuries downtown Lisbon has been the heart of the social, commercial and spiritual life of the city, as much as the center of power of Portugal. Despite this lasting prominence, a lot has changed since the Phoenician and the Roman occupation, when there was still an arm of the Tejo River flooding this area. The earthquake of 1st November 1755 transformed it into ruins, but provided the pretext for an innovative reconstruction of the city’s downtown area. In this walk you will learn about: the 1755 earthquake and the day after, the Roman salted fish factories, The Comércio Square. : center of power. 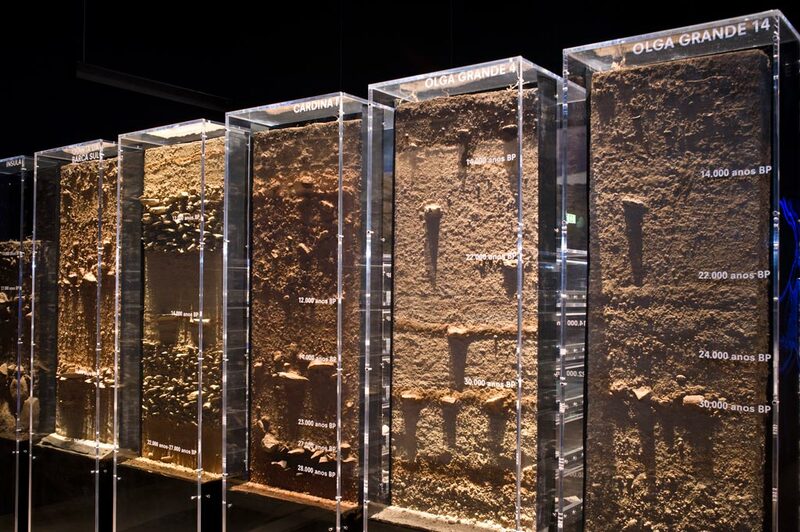 Rebirth of Lisbon: the dream of a city come true, a new city built on water, The birth of modern seismology and The hidden churches. A welcome package with a city map, train tickets (if relevant), and any other touristic information that we deem you may find useful will be waiting for you upon your arrival at your first hotel on your trip. Welcome to Portugal. 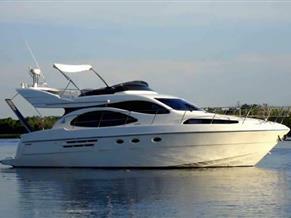 Wine Tourism in Portugal will invite you to discover the amazing Douro Valley aboard a Private Yacht. After airport formalities (Porto Airport), you will be collected outside customs, and transferred, by Deluxe vehicle with English speaking Chauffeur to Douro Marina. Arrival at Crestuma-Lever Dam (sluice rises 14 m). Arrival at Carrapatelo Dam (sluice rises 35 m). Dinner at Castas & Pratos Restaurant.Castas e Pratos, CP for short, results from the will of Edgar Gouveia and Manuel Osório, two entrepreneurs joined by family ties and motivated by the ambition to create an innovative and distinctive project, combined with the passion for the Douro. Thus was born Castas e Pratos, a restaurant located in a historic space, in the old warehouses of CP, the Portuguese Railways, in Régua, luxuriously renovated with all the necessary comfort to make you aware of the best of the region of the Douro. Lunch at Quinta de La Rosa. 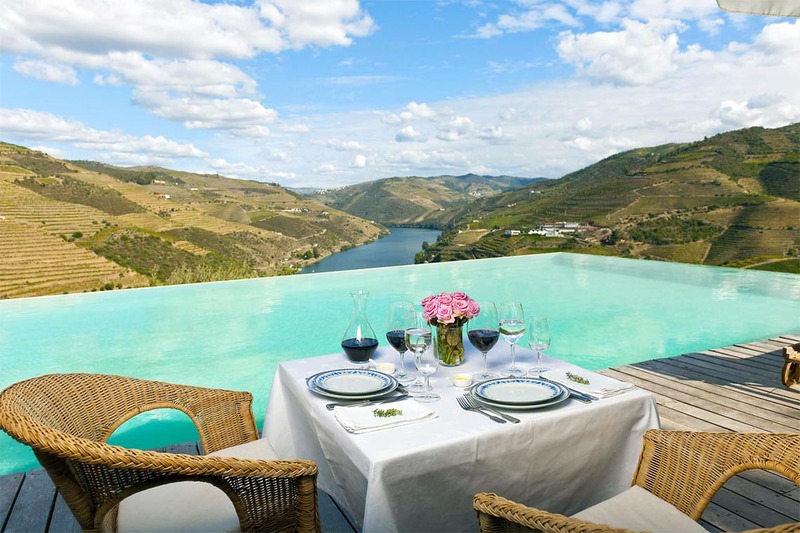 Quinta de La Rosa was built in an unusual location, on a hill with steep stairs that connect the different levels besides the Douro River. Here it is produced the wine that is provided to some of the most important Restaurants and Retailers all over the world. The Bergqvist family has been making Port wine since 1815. The Quinta de La Rosa estate was offered as baptism gift to Claire Feuheerd, Sophia's grandmother, in 1906. You will enjoy a three-course meal, with table and Port wines. Visit and Wine Tasting at Quinta de La Rosa Winery. The vineyard of Quinta de La Rosa spreads along the banks of the Douro River and rises to an altitude of 400 meters. There are 11 separate vineyards, some of them located along the banks of the Douro River while others are set at an altitude of 400 meters. Quinta de la Rosa has recently undergone a complete refurbishment in its Port and table wine production facilities. This project has been in preparation for about 7 years. Arrival at Senhora da Ribeira. Visit and wine Tasting at Quinta Nova. Quinta Nova Luxury Winery House "one of the nine must-see wineries in the world", who says that it is the American Airlines. Precisely 250 years ago, the traditional winery Quinta Nova, owned by the Amorim Group, was harvesting their first grapes. This is, undoubtedly, one of the oldest wineries in the Douro region, producing Port wine for the estate and for many other plots of farmers and neighboring estates, given its large size. 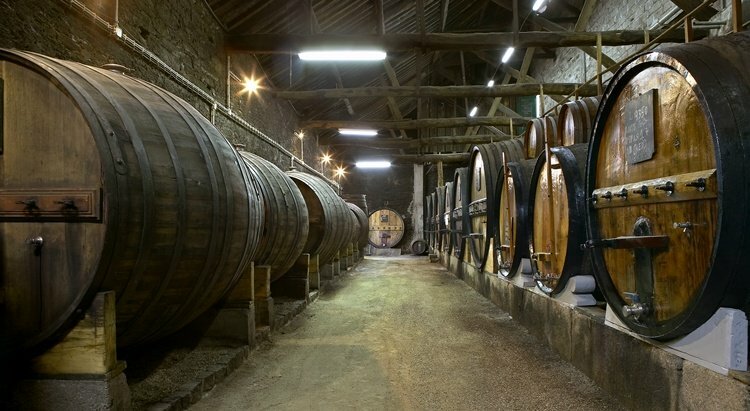 You will visit in detail all production of wines, the vineyard, the winery of 1764, the underground wine cellar and end your visit with a tasting of 3 wines in the store. Dinner at Conceitus Restaurant. Indulge yourself with the delicacies that Conceitus Winery Restaurant has to offer you. The menu appeals to the senses and emotions, in a relaxed and curious way. The proposals are different every day and guests never know the menu, letting themselves be guided by the inspiration of Chef José Pinto. Stop at Régua. Lunch at Quinta da Pacheca. The Restaurant at the Wine House Hotel has for you, offers a touch of luxury and gourmet and a search for constant quality, while keeping the true essence of the traditional Portuguese cuisine. Always prepared with fresh products of the land, the restaurant dishes are a real temptation. The quality of this cuisine, famous throughout the Douro region, makes the restaurant of Quinta da Pacheca the Ex-libris of the estate, a warm and relaxing place with a view over the Douro and the vine terraces, completed by the comfort of typical fireplace. Delicious gourmet dishes of the restaurant are perfectly harmonized with the award-winning wines of Quinta da Pacheca, making the meals a unique experience. Visit and wine tasting at Quinta da Pacheca Winery. Quinta da Pacheca, one of the most known properties of the Douro, stands out for having been the first to bottle wine under its own brand. SPA experience at Six Senses Resort. 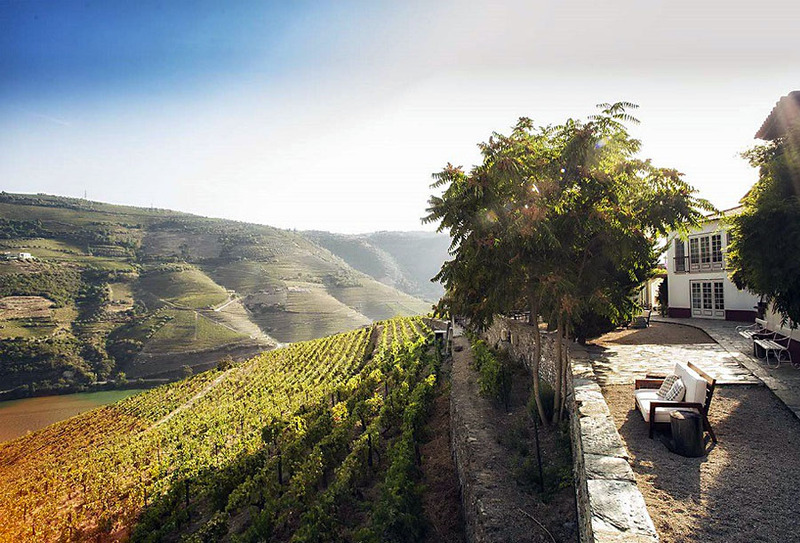 Enjoy the beauty of the Six Senses Douro Valley Resort, touched by the romance of the 19th century architecture and is happily married with the contemporary interiors. 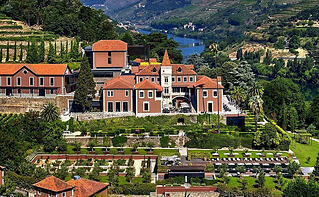 Positioned as the ultimate wine and SPA experience of the Douro, the Resort assumes its own regional identity. In the Spa, is unique the feeling of the union with nature and Portuguese tradition wedded to the elements of water, stone and wood, the spacious Six Senses Spa Douro Valley Spa. Dinner at Six Senses Restaurant. Enjoy a fantastic unique Chef's Table experience. A very personal journey of food and wine. An open cooking station is complete with a wood-fired oven for bread baking and a Josper Grill. Join a small group at a 10 courses meal that is prepared and hosted by the Chef, right before your eyes. Follow the process and complete the experience with selected accompanying wines. This is the greatest gastronomic option at the Six Senses Douro Valley that is celebrating the region. Dinner is waiting for you at Decastro Gaia Restaurant. A place for tasting, where wines are matched with Portuguese snacks under the guidance of renowned Chef Miguel Castro Silva. The gastronomy embraces the concept of innovation, diversification and modernity of Porto Cruz project, challenging visitors to taste new experiences that test the palate in an informal yet stylish ambiance. 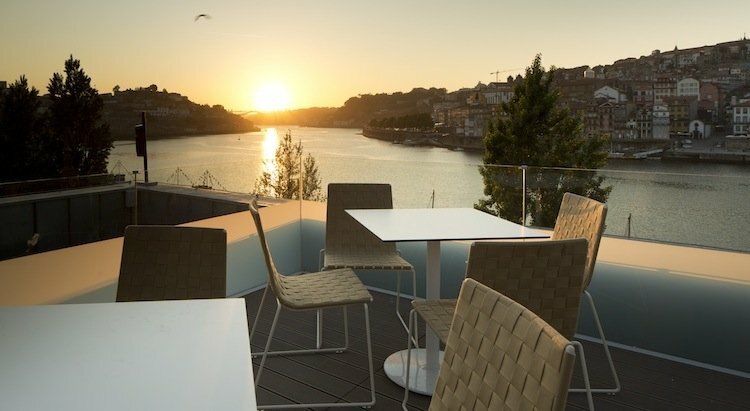 You will enjoy a Sunset Port Cocktail in the rooftop with 360º views over the Port Cellars and Douro River and Dinner at the Restaurant. Transfer by Deluxe Vehicle to Porto Airport (OPO). "Everything was wonderful and our day trips to wineries were amazing. Especially the whole day at Quinta da Nova was incredible. With the help of your website made the planning of the trip much easier." "The itinerary organized for us by Wine Tourism in Portugal was great. We tasted some lovely wines and ports, and had some wonderful meals. They responded to emails and Facebook messages very quickly and on a Sunday. I highly recommend Wine Tourism in Portugal!" By Booking with us, you will have access to a personal travel consultant who will accompany you throughout the planning and also during your trip. We are the leading experts in customized Wine & Food Tours in Portugal and we understand that every traveler is unique and, as such, we create the most suitable itinerary to the preferences and needs of each one.